The Lake School was opened at 2410 North 19th Street to serve the Near North Side neighborhood when it was new and growing in the late 1880s. For most of its existence, Lake School had kindergarten through 8th grade in a brick two-story building with a peaked roofline and decorated peaks, with a bell tower on the east side. Located on the southeast corner of the intersection, for more than 40 years it was one of Omaha Public Schools’ Black schools where African American students were segregated. North Omaha’s Lake School was at N. 20th and Lake Streets from 1879 to 1976. This is an 8th grade classroom at Lake School in North Omaha in 1914. In 1879, a wooden schoolhouse was opened at North 20th and Lake Streets. Built on land that belonged to Judge George Lake, the school was renamed for him while he was still alive. When it was eventually demolished, Lake School was the oldest school in Omaha Public Schools. Sections of the school were designed by John McDonald, and some of the stonework was finished by Jacob Maag. According to a 1954 edition of the Omaha World-Herald, the school was the first in Nebraska to fly an American flag, launching it on February 22, 1889. During this early era, Jews from across Europe, Scandanavians and other Near North Side residents went to the school. With Omaha’s Jim Crow at work though, African Americans mostly couldn’t attend the school early on. These are Lake School students at 24th and Lake in 1967 during a parade. Note the sign in the students’ hands to the right. Edmae Swain (1916-2008) became the first African American female principal in Omaha Public Schools in 1964. Before that, she taught at Howard Kennedy and Long Schools. She was the longtime principal of Lake School. She retired after 44 years as an educator. When they moved in during the 2000s, she and her husband became the first Black residents of the Immanuel Village retirement community. Taken from The Durham Museum, this pic shows Mrs. Swain at her desk at Lake School in June 1970. This is Lake School in 1910. 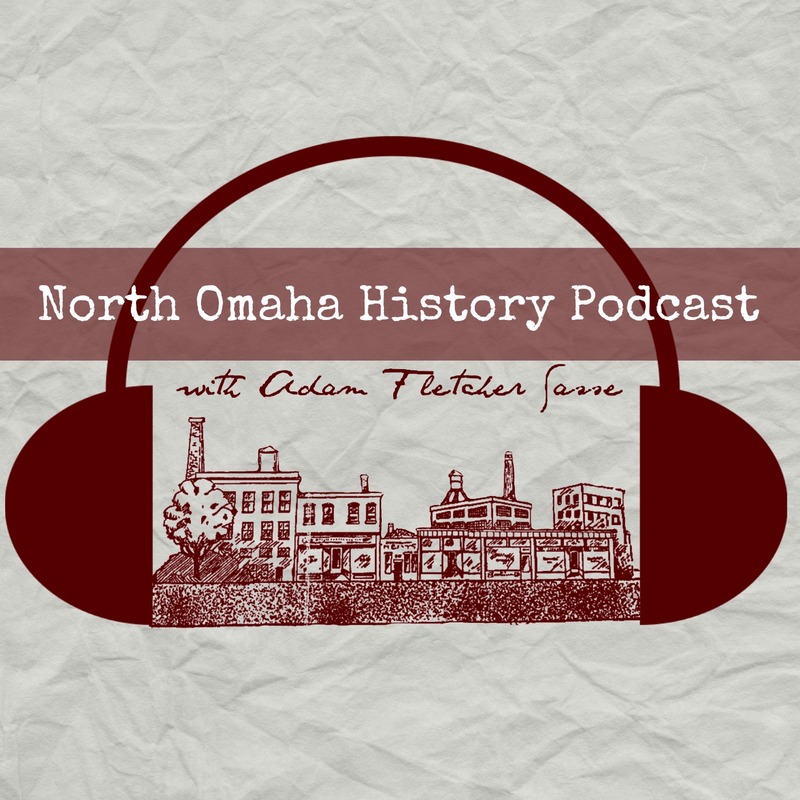 In 1976, the US government took the Omaha Public Schools to court because of its segregated schools. The US circuit court ordered Omaha to use busing to desegregate the district. They ordered the district to desegregate Omaha’s public schools, starting in September 1976. Suddenly, white flight swept through North Omaha, with hundreds of residents fleeing to the city’s western suburbs where there were few African Americans. White student enrollment in the district tanked, and African-American students were encouraged to travel across the city to predominantly white schools. This classroom pic shows students at North Omaha’s Lake School in the 1910s. This is the Dorthea Fullwood School, opened in the former Lake School at N. 20th and Lake Streets in North Omaha. In the early 1970s, Omaha Public Schools demolished the original Lake School and built a replacement school in its place. After formally closing in the late 1970s, it became a special facility exclusively for students who were identified as developmentally disabled. All of the students were reportedly African American, and local activists believed it was another attempt to keep Omaha’s Black community segregated from whites. In 1984, the Seventh Day Adventists started operating the building as the Dorthea Fullwood School. It ran that way for several years afterwards. The building was converted into the Fullwood Court Apartments, and today stays that way. This is a second grade classroom at Lake School in 1904. These pics are from the Seventh Day Adventist Church sponsored Dorthea Fullwood School when it was located in the former Lake School. The first theatrical presentation of Charles Dickens’ “A Christmas Carol” in Omaha was in December 1890. The performance was a reading from the book as part of a Christmas program put on by the Lake School, one of Omaha’s earliest schools. Lake School was located on the Near North Side, at 2410 North 19th Street. The student who read from Dickens was Beatrice Ball. This is a postcard of Lake School in 1909. Taken from the Nebraska Memories website. In 1955, Class of 1905 Lake School alumni had a 50-year reunion at the Birchwood Club. There were 45 people there, including a former teacher. Thank you for the information on Lake School. Mrs. Swain’s son is a close friend of mine. Interesting article particularly because I know too little about Omaha where my mother’s side of the family lived 1880s onward, and because of the parallels. The history of segregation is comparable to Los Angeles where in the mid 1970s forced busing was ordered, there was flight to the suburbs, followed by Charter Schools – some independent, while others are affiliated w Los Angeles Unified School District. Educational national ranking dropped from #1 to #49 as illegal immigrants English language learners became 50-98% of public school enrollees with the CA State Govt taking control of schools away from local communities.. Like Edmae, newly constructed Chatsworth High had the first female principal systemwide around 1964, which result in females attaining new academic highs. Lake School flew the first flag and o Santa Barbara we fight to have the flag flown and pledged. The majority are dual citizens with no allegiance to America and by law we cannot discriminate. Our county evolves moving farther away from its constitutional basis with too many public schools held unaccountable for administrative decisions. Thanks for making time to research , write and post. Enjoyed viewing the photos.